1 Full size Comforter 80" x 90" & 2 Pillow Shams 20" X 27"
1 Queen size Comforter 92" x 96" & 2 Pillow Shams 21"x 27"
1 King size Comforter 110" x 96"& 2 Pillow Shams 21" X 34"
1 Twin Comforter 68" x 88" & 1 Pillow Sham 20" X 27"
Sedona Curtain, 48" x 84"
Sedona Pillow 26" x 34"
Sedona collection works well in Rustic or Southwestern styles. 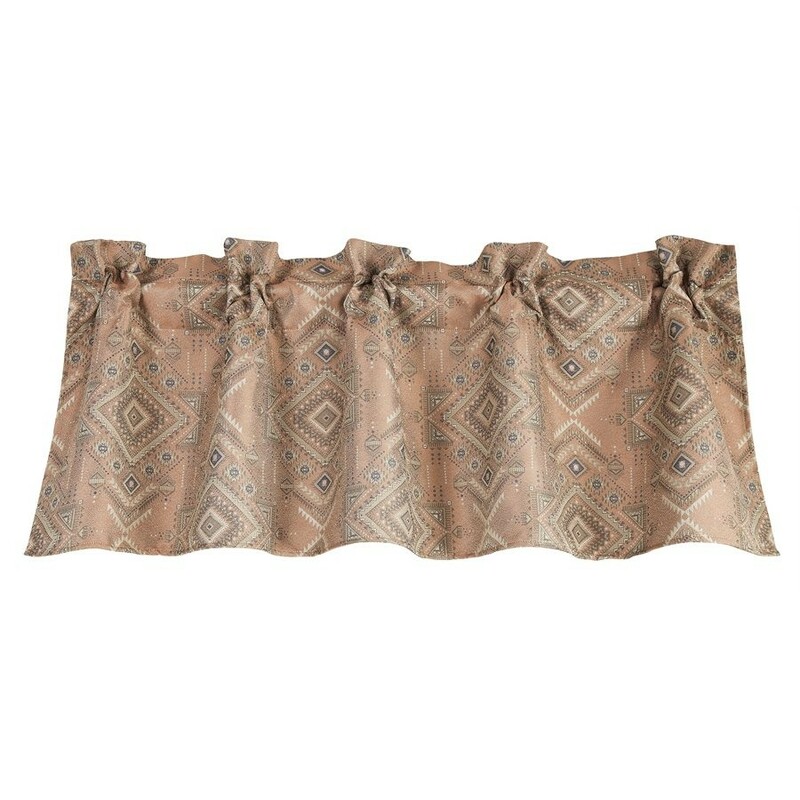 With a beautiful burnt sienna background, lovely sand and indigo jacquard diamond patterns adorn this attractive Southwestern fabric. 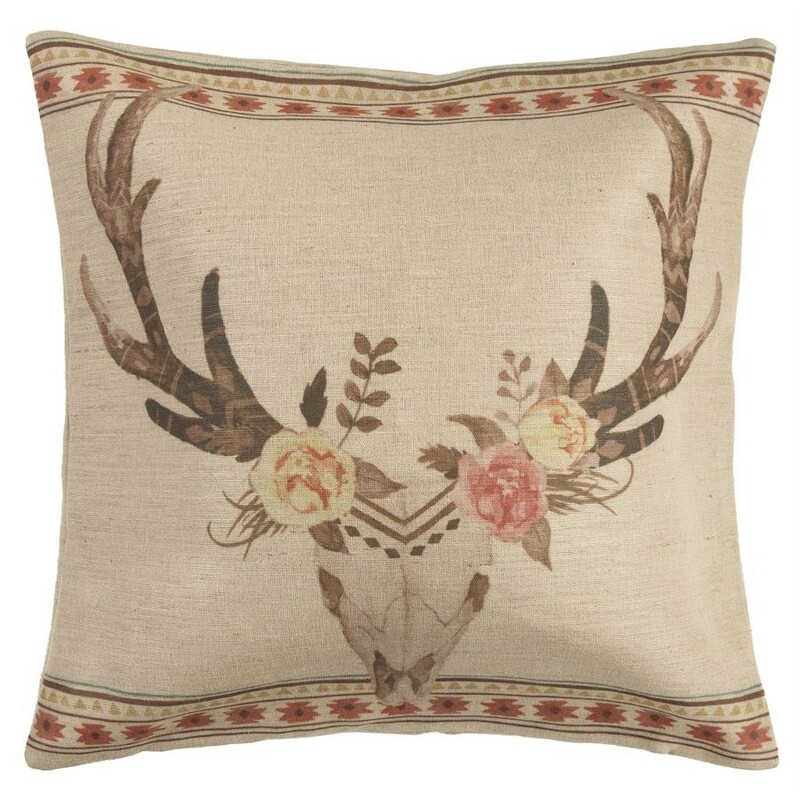 Sedona collection works well in Rustic or Southwestern styles. With a beautiful burnt sienna background, lovely sand and indigo jacquard diamond patterns adorn this attractive Southwestern fabric. 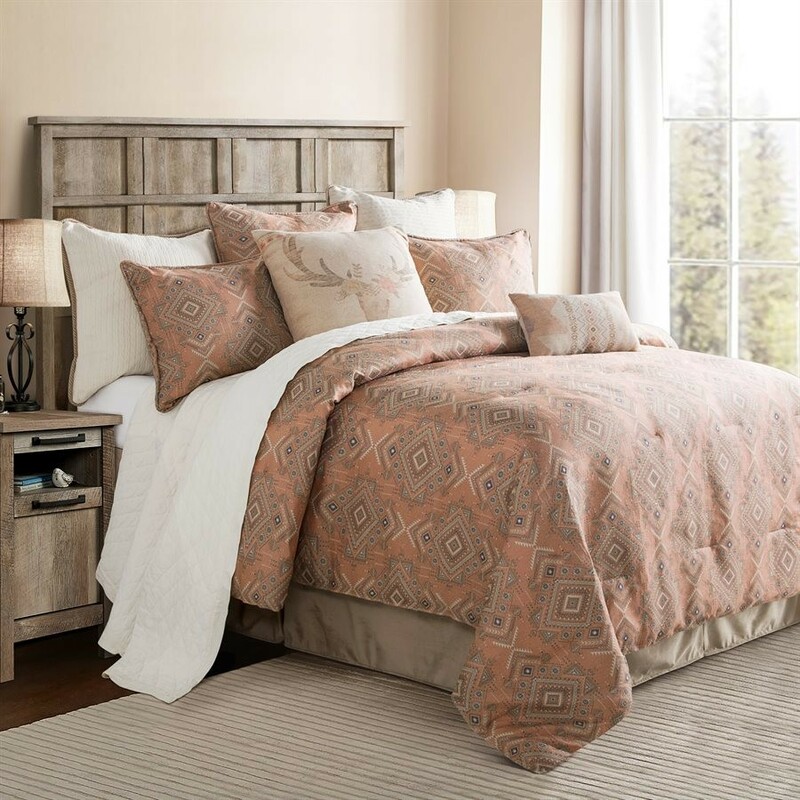 Accent with burlap pillows designed for this collection or add quilted cream linen shams for extra layering. 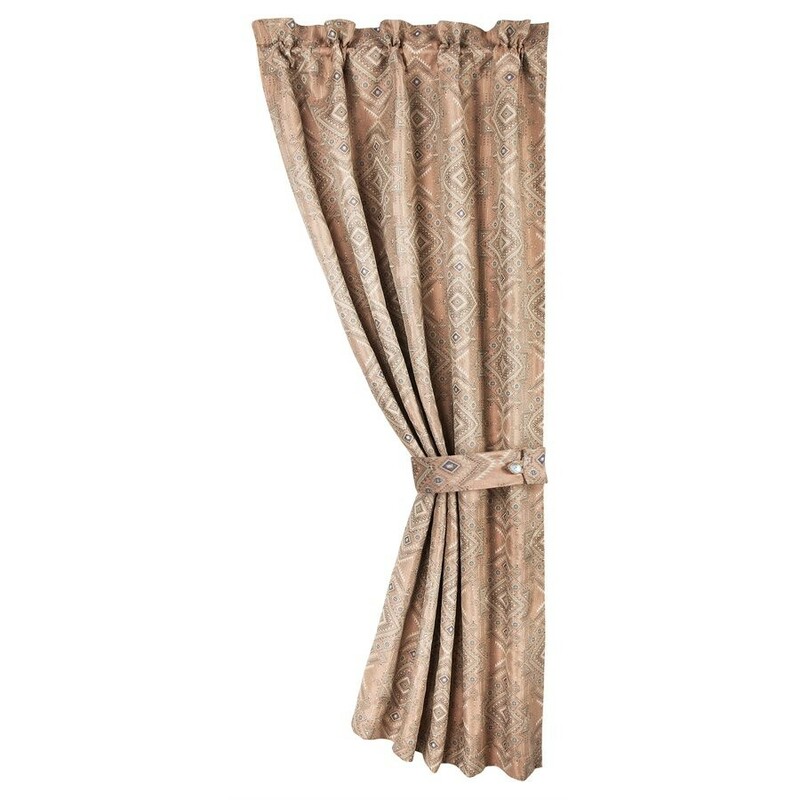 Or for an elegant, sophisticated look, enhance this design with oatmeal velvet shams and quilts. 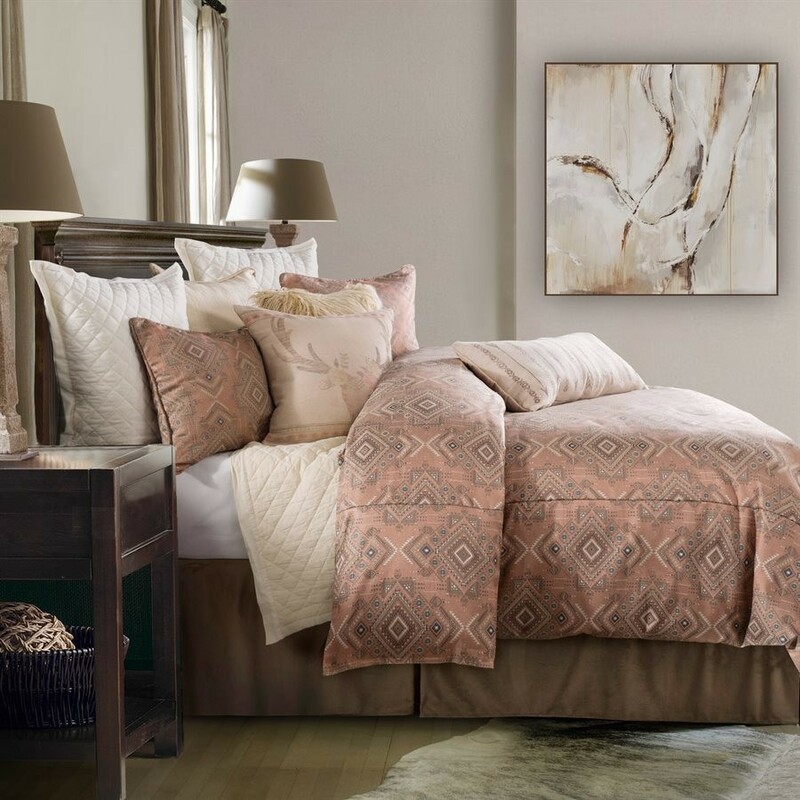 Sedona Twin Comforter Set includes 1 Twin Comforter 68" x 88" & 1 Pillow Sham 20" X 27"
Sedona Full Comforter Set includes 1 Full size Comforter 80" x 90" & 2 Pillow Shams 20" X 27"
Sedona Queen Comforter Set includes 1 Queen size Comforter 92" x 96" & 2 Pillow Shams 21"x 27"
Sedona King Comforter Set includes 1 King size Comforter 110" x 96"& 2 Pillow Shams 21" X 34"
Comforter Face: 100 % Polyester; Back: 100% Cotton; Filling: 100% Polyester; Pillow Shams: 100% Polyester.